Joseph Carr Davis was born February 11, 1910 in Savannah, GA., as eldest of four sons. All four of his grandparents were from Ireland. After finishing the Marist Brothers School, Davis attended Benedictine where he excelled academically. He graduated in 1927- just a few months past his 17th birthday. At that time, BC ( Benedictine) awarded the cadet with the highest GPA for the academic year a gold medal in honor of that achievement, and Davis received the medal for four consecutive years. He was the only cadet in the school’s history to earn all four medals. In the academic year 1928-1929, Davis attended The Citadel whose archives show he was a very successful student ranked 14th of 304 academically. Why he did not return after his freshman year is a mystery but was probably financial. His correspondence from this period makes references which sound as if he may have been partially responsible for his family’s support. At some point, Davis joined the Georgia National Guard, the old Chatham Artillery. In December, 1934, the officers and men of Battery F, 118th Field Artillery, GNG presented a ceremonial sword to Lieutenant Joseph Carr Davis. There was also a connection with The Irish Jasper Greens. With war on the horizon in 1940, President Roosevelt signed an order for the War Department to begin inducting certain National Guard divisions into federal service for twelve months. The 118th Field Artillery GNG was inducted September 9, 1940, and Lt. Davis quickly became Capt. Davis. After its induction in late 1940, the unit’s record becomes fuzzy. It was sent to Service School at Fort Sill at Lawton, OK, where Capt . Davis became an instructor. On April 8, 1943 , Lt. Col Joseph Carr Davis , who had been teaching tactics on the staff of the Field Artillery School, assumed command of the 935th Field Artillery Battalion which had become connected to the 141st Battalion of the old Washington Artillery of New Orleans. On June 20, 1943 the 141st F.A. Group , the 934th, 935, (the old Chatham Artillery), 938, and 939th Field Artillery Battalions left for Camp Gordon in Augusta, GA and were alerted for overseas duty on July 6, 1943.On August 11, 1943 The 935th F.A. Battalion and 141st F.A. Battalion left Camp Gordon for Fort Dix where they prepared for their August 22nd departure from Staten Island on the Army Transport “George W. Goethals.” Battalion Commander was Lt. Joseph Carr Davis who was senior line officer, commander of troops, and was responsible for certain administrative details. On September 2, 1943, the ship reached Oran, North Africa, where the troops disembarked and began their journey east across North Africa to Bizerte where they boarded LSTs for Italy on October 8th. They landed in Salerno and began the journey which Powell Casey of the 141st F.A. Battalion , Washington Artillery, summarizes …they followed the route that Roman legions had trod in North Africa, in Sicily and up the Appian Way in Italy, over rugged mountains and across valleys and rivers, through Salerno, Naples, Caserta, Cassino and Anzio to Rome, then Leghorn and Pisa and beyond the Arno at Florence to Futa Pass; onto the shores of France at Marseilles, up the Rhone River Valley to Montelimar and Colmar and Strasbourg and Gambsheim and Bischwiller, too, where the thin line held; into the Bulge; through the Maginot Line and through the Siegfried Line; then to Saarbrucken, the gateway to the Saar and the Palatinate; over the Rhine at Worms and Mannheim and Darmstadt and Wesel and over the Danube at Dilligen and Ulm; then to Augsburg and Munich. On May, 1945, The 935th F.A. Battalion entered Dachau and were among the first Americans to witness its horrors. At the end of the war, the odometer of one vehicle showed a total of 9120 miles accumulated in North Africa, Italy, France, and Germany. Other records showed the 935th F.A. Battalion had fired 141,000 rounds since firing its first round of the war near Sparanise, Italy. The men had been called into service for training for a 12 month period, but remained for four years of war . The war in Europe officially ended May 9, 1945, and the Battalion was ordered to move back to Augsburg. Toward the end of July, they received orders relieving it of its duties in Bavaria and assigning to supervise a captured German material dump at Hochstadt-Dornigheim about five miles east of Frankfort-on Main .The dump contained items like a single engine jet fighter, artillery pieces, artillery ammunition, aerial bombs , and containers of various chemicals.On August 19, 1945, Lt.Col. Davis had gone to Nuremberg to accept an oak leaf cluster to his Bronze Star, and, in his absence, heavy rain had run into some containers of metallic sodium, causing a fire. Though the fire seemed to be out when he returned and inspected the area, it suddenly broke out again and rapidly extended to the large bombs which exploded and destroyed the factory as well as Headquarters. Lt.Col. Davis, six other American soldiers, and eight German volunteer firefighters from Dornigheim died instantly. Before induction into active service in 1940, Joseph Carr Davis was an executive at Strachan Shipping Company. At that time, ocean shipping was considered a critical industry. Strachan had arranged for him to return to Europe – to London – to be responsible for reestablishing trans-Atlantic shipping. The 935Th F.A. Artillery was a Service Battery and often found itself attached to different Divisions , including those of France and the United Kingdom with whom they enjoyed mutual respect and cordiality. For the Central Italy Campaign, the 935th F.A. was awarded the Croix de Guerre, and Lt.Col. Davis was made an Honorary member of the 66th Regiment d’Artillerie d’Afrique. In June, 1944, he was awarded the bronze star for meritorious service in combat in the Italian Campaign (May 11- May 29, 1944). 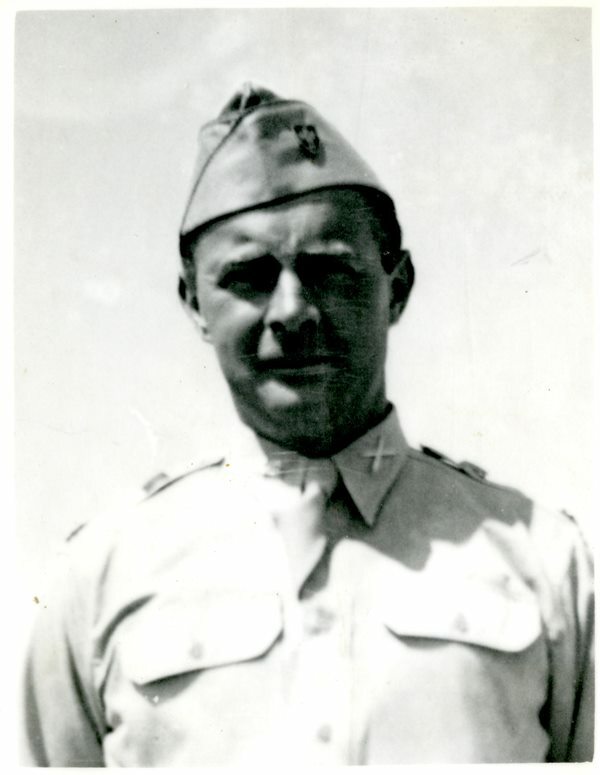 On August 19, 1945 Lt. Col. Davis accepted an oak leaf cluster for the bronze star for his service in France and Germany (February 15, 1945 – April 27, 1945) just hours before his death. He is buried in the Lorraine American Cemetery in St.Avold, France. What an amazing story which obviously took a lot of research in order to piece together. Thanks for sharing!